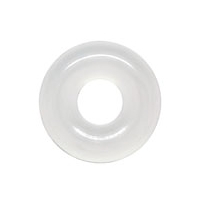 Isabella Charms - Small rubber O Ring with a diameter of 6.4mm. Fits OHM, redbalifrog, Trollbeads, Spinning Jewelery and Pandora. These o-rings are only sold in pairs. The price shown is for 1 pcs.